Some of you may or may not know this, but I was a part of an interior design firm for many, many years. The firm I worked for specialized in commercial and high residential design for the state of Florida, but most of our work concentrated in Miami. I was lucky enough to work on some amazing projects while working there, and even though I’m no longer in the field, interior design continues to be a passion of mine. I’m obsessed with spaces, and everything you need to make them beautiful – especially kitchens. I love kitchens! They’re truly the heart of the home, and reflect you and your family’s personality and taste. Unfortunately, I’m not a fan of my current kitchen, so I thought it would be fun to piece together what my dream kitchen would look like if I designed it now. The biggest impact you can make in your kitchen is to change your cabinets, so I would focus on either replacing, refacing, or renewing the cabinets. These are three options only available at The Home Depot which allows you to transform you kitchen with as little or as much renovation as you want. 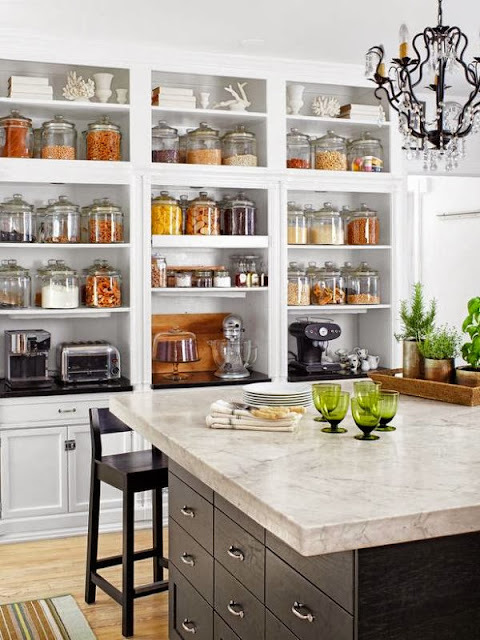 Personally, I would scrap everything in my kitchen and start fresh, starting with the design theme. I prefer a transitional design, which means I would draw inspiration from both traditional and modern design. The kitchen would have to be white. There’s just something so simple, clean, crisp about a white kitchens that I love. Then it would need dark floors of course, to really make the cabinets and finishes pop. Next comes storage, I can’t stand a clutter kitchen, so I would need lots of storage space. My design tip would be use unique shelving options. There is so much you can do now! You can literally use every inch of space if you wanted to, which is ideal for small kitchens like mine. The backsplash would be something neutral and timeless, and there would be plenty of stainless steel appliances to go along with it. Finally a big kitchen island would complete my dream kitchen with enough space for food preparation and seating. 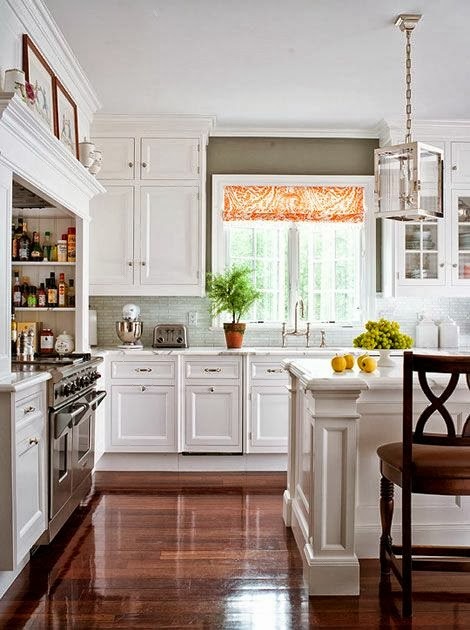 Swooning...I want a white kitchen so bad I can taste it!